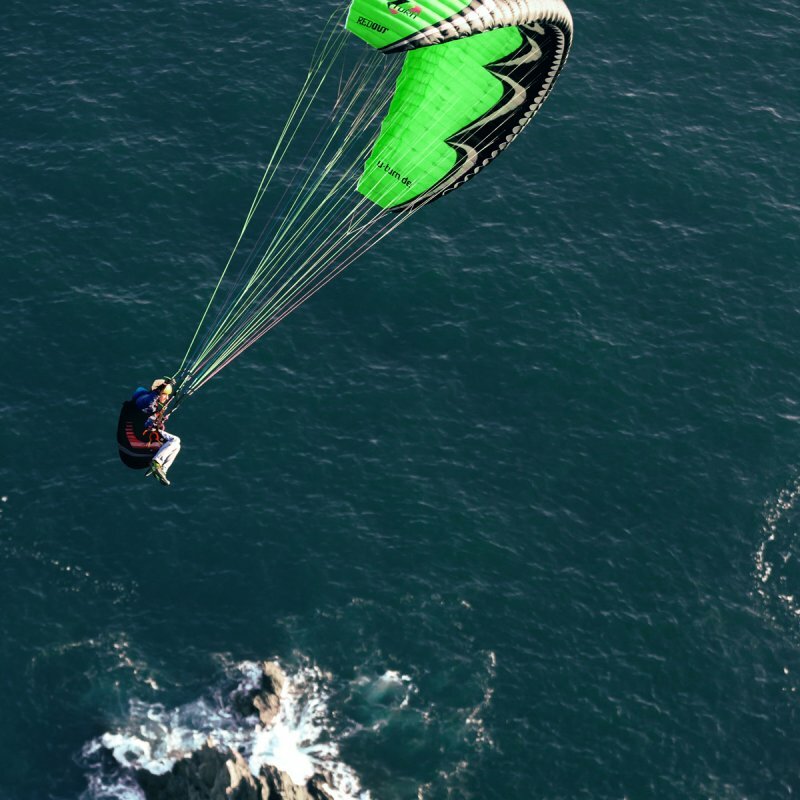 The new funwing from U-turn combines freestyle elements with power. The new mix out of sportive dynamic and reliable rise power is leading to the new category “freeride”. The outstanding glide qualities are turning the dynamic funwing into a highly efficient “turner” in thermal lift. With that the area of use is almost infinite with the multifaceted funwing. 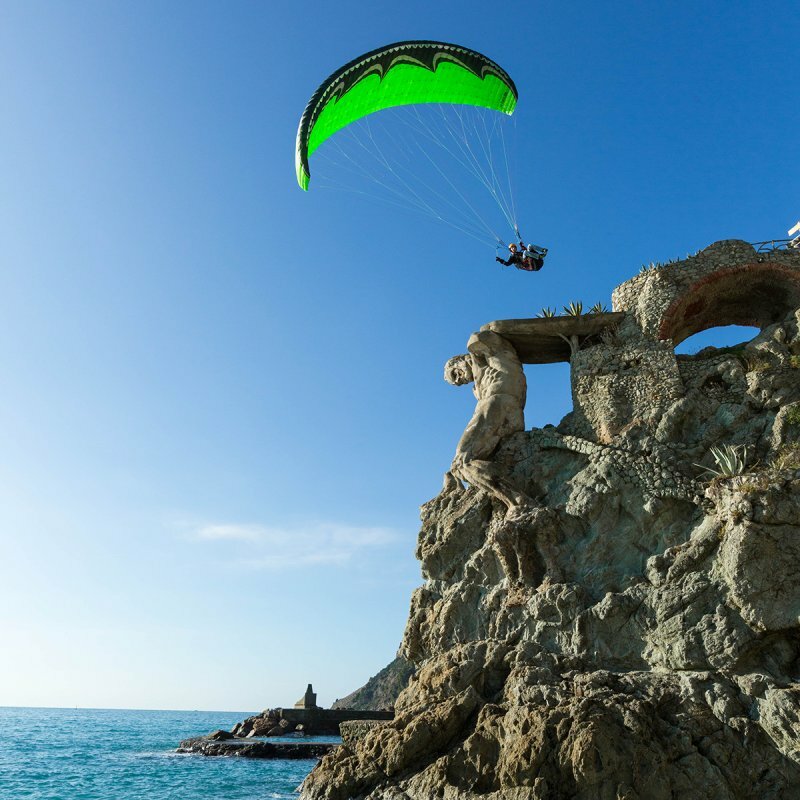 It is as convincing while soaring as acro trainer but also when flying in thermal – that is what makes that wing a real freerider. The Redout is designed for dynamic flying fun on a high security level. 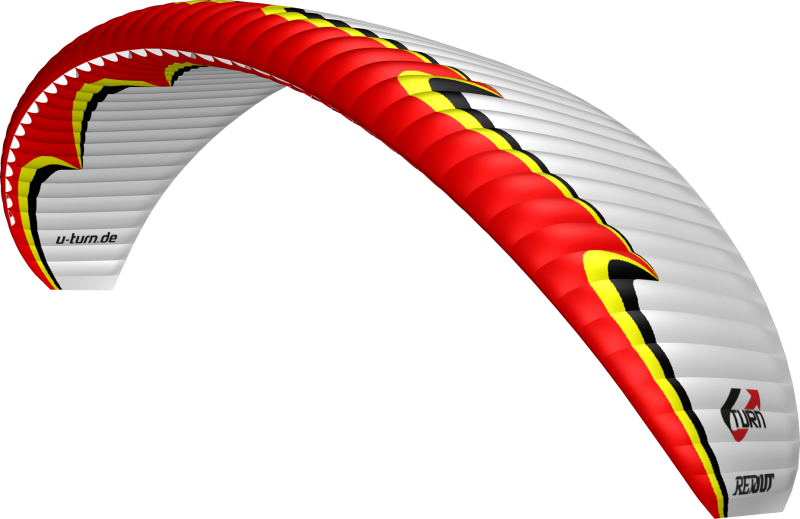 Because of that it is also a perfect Acro glider for beginners, since despite the high dynamic the focus lied on sufficient security cushions. Especially when learning new maneuvers the glider forgives, if the timing isn’t 100 per cent right. Although it has high tolerance, the Redout has a very precise and direct handling, to learn the figures knowingly. In it’s genes the influences of the pro-wing Thriller are clearly noticeable – except the Infinity Tumbling all acro maneuvers are learnable and doable with the redout. That makes it the perfect prestage to switch to a pro acro-wing later. 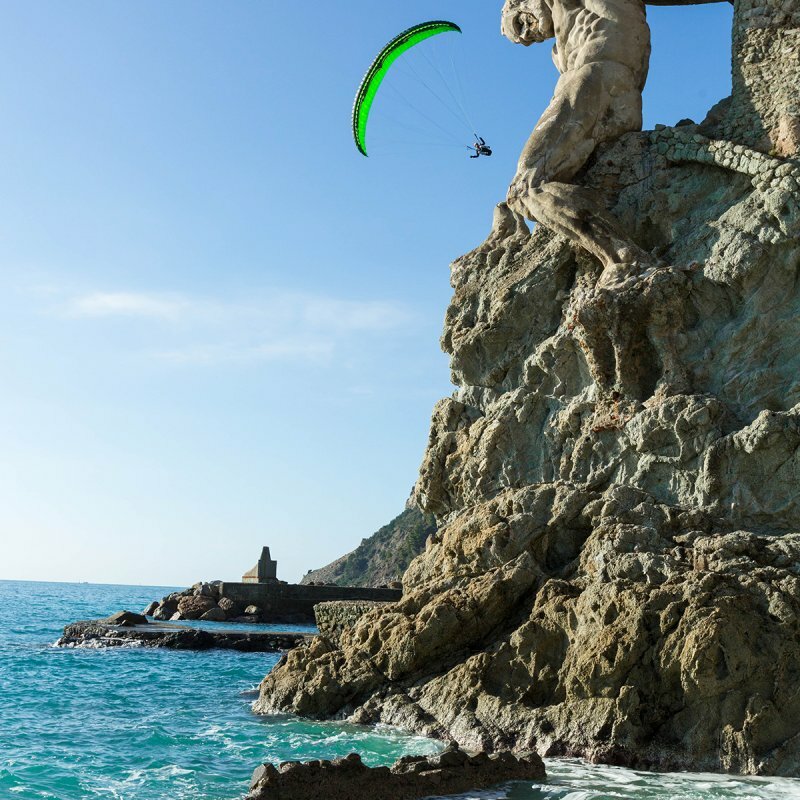 start flying acro. As a freerider this wing is as efficient when building height as it is when playing dynamically and reducing height. The outstanding power of this sportive wing is bringing fun either way. Because of the solid construction it is easily getting over stabi-touch landings as well as chopper jumps. The Redout is premium-quality processed and designed for durability. As in all U-Turn Acro gliders, only materials, which have passed the extreme strain and hard long-term tests, were used for producing. Especially at the cloth the established and robust original material of the thriller came int use. But also in it’s processing everything is done to ensure durability and shape fidelity, including multiple reinforced seams, reinforcements on all line suspensions and v-tapes. The Redout is available from now on in two licensed sizes: 19 m² and 21m². Size 19 is licensed for a start weight from 50 - 90 kg with LTF/EN-C, and for 90 – 115 kg with LTF/EN-D. Size 21 is licensed for a start weight from 60 – 120 kg with LTF/EN-D. The REDOUT is addressed to pilots who want to have miscellaneous funwing in their luggage, which is suitable for the dynamic flying, but at the same time gives you loads of power. The exceptional glide and rise power from this agile wing are also guaranteeing loads of fun when flying thermal. That way, chief-designer Ernst Strobl is relying on a very powerful profile, which despite the relatively low surface is turning thermal lift in height. The high turn propensity and dynamic are enabling a very narrow centering. The high security cushion and mistake-forgiving tolerance of the wing are also relevant when it comes to flying in thermal lift. With that, U-Turn’s High Pressure Crossport Design (HPCD) is ensuring optimized lateral air supply, is compensating quickly for air pressure differences during turbulences inside the wing and by that ensures balanced internal pressure. Responsible for the stability of the profile nose is the Precision Profile Nose system (PPN) and optimizes the flow alongside the whole cell opening. Four levels of lines, each with 3 main lines per riser are catering for an optimized force transmission. Additionally the forces are being dispensed perfectly, even when highly strained like during balloon or chopper jumps, through the intelligent arrangement of the starting points. The riser is equipped with the Stabilo Security Function (SSF), by a rubber line fixed on the riser the stabilo line is graspable very fast in needed situations.